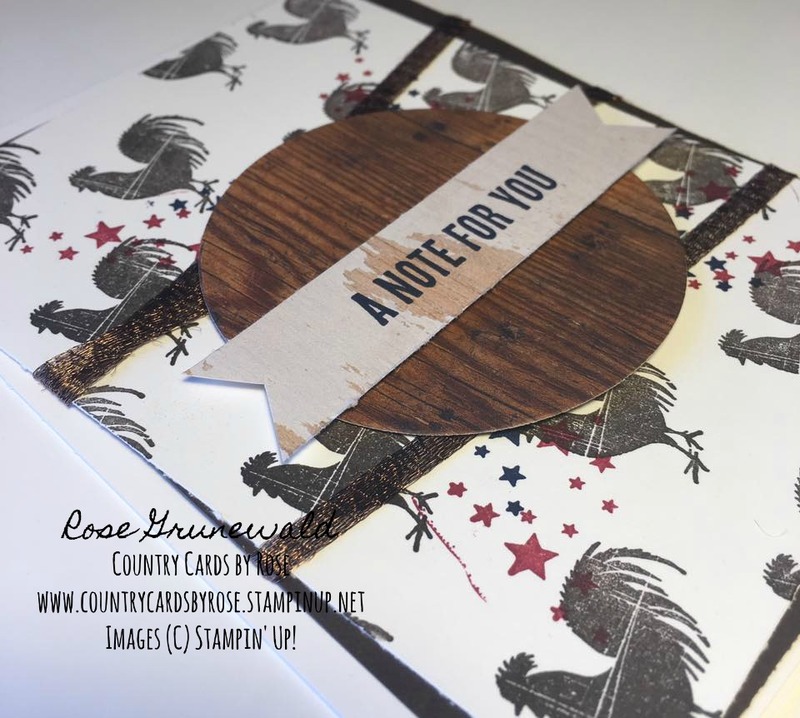 Happy Monday, Stampers! I hope you enjoyed your weekend! I spent my weekend babysitting our nephew (can't pass up baby time, right?!?) and relaaaaaxing...which I really needed after this hectic week at work. I also got in a bit of "Stamping Therapy" in my craft room. 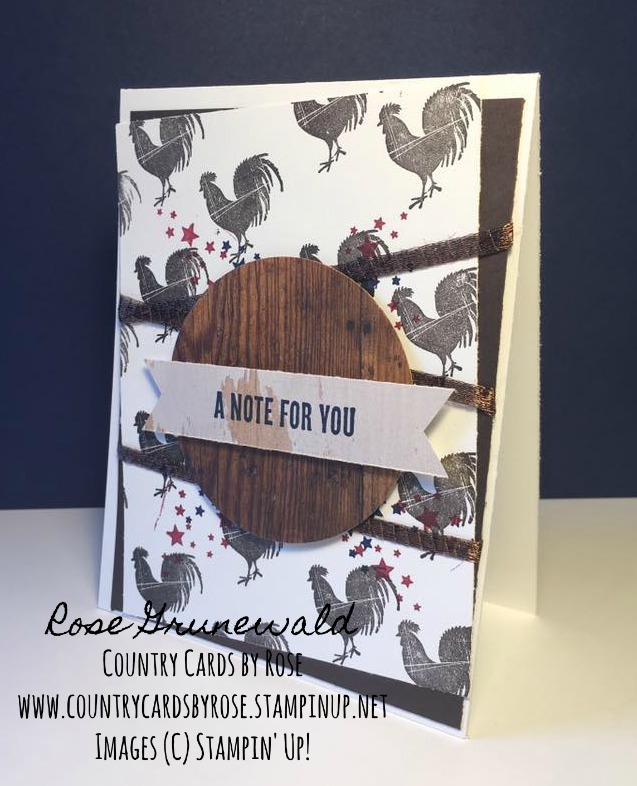 Don't you find that stamping is a great stress reliever? I'll show you what I made in my "creative therapy" session, and maybe it will inspire you in your next "creative therapy" session! For this card, I used the Rooster stamp in Early Espresso to make the background - you could even call it my self-made DSP! 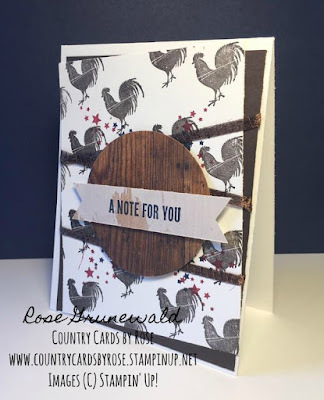 I just love the distressed look of that stamp! 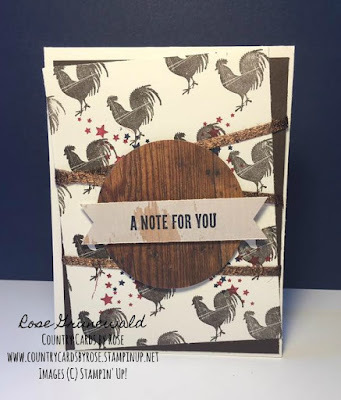 After my Rooster background was all stamped, I stamped the stars in Night of Navy and Cherry Cobbler behind where I wanted my circle and tag layers in the center of the card. 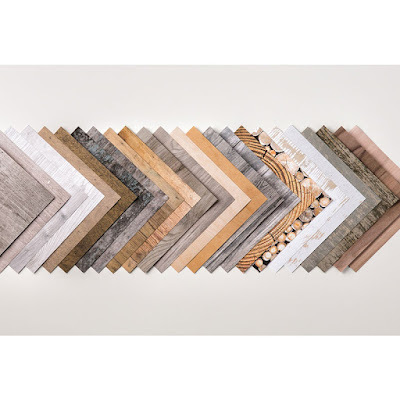 Both of those pieces come from the Wood Textures DSP. I've been using that quite a bit and had some scraps, which worked great for that piece. Aren't all those patterns beautiful! To put together my card, I layered over some Early Espresso and wrapped some of the 1/4" Copper Trim around it. Just adhere that to the card base, and you've got a gorgeous COUNTRY CARD (which we all know I love - Country Cards by Rose?? See what I did there? haha).